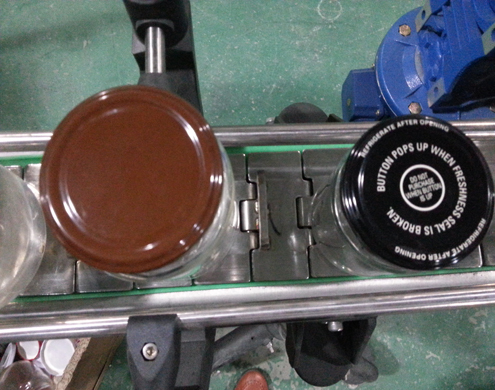 vacuum capping machine glass jars of peanut butter trial run of Paul Raff from Melbourne in Australia. This glass jar vacuum capping machine is researched and developed by our company with years of experience, it is unique in domestic .Integrated automatically cap arranging with covering, vacuum capping. Adopted manual vacuum pump to achieve high vacuum. With the functions of no bottle no covering, alarming when no caps are available. Enjoyed high automation. The main pneumatic and electric parts are from world famous brands. With stable and reliable performance. It is widely used for vacuum capping of the Glass Jars with iron caps in the industries of canned food, beverage, seasoning, health care products etc. 1).Integrated automatically cap arranging with covering and vacuum capping, with high automation. 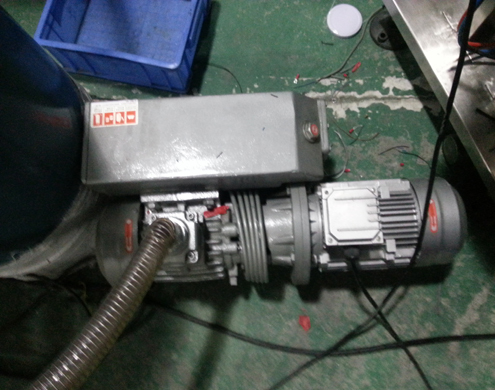 2).Adopted manual vacuum pump to achieve high vacuum. 3).Capping torsion and vacuum degree can be set as required. 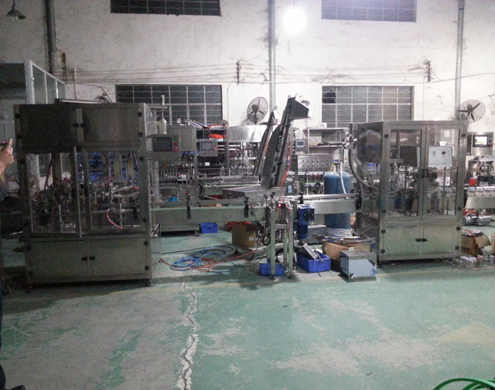 4).Suitable for different shapes and sizes bottles with changing few parts. 5).The main pneumatic and electric parts are from world famous brands to ensure stable, reliable and durable performance. Our Factory since 1992 has been manufacturing the cosmetic&food making and packaging machinery.In these field we have the experience rich enough to solve the questions encountered by our customers from both home and abroad.For more information about various high quality machinery like the vacuum capping machine linear model for glass jars,please email via jackdu999@yahoo.com or browse our website www.cosmeticsmachinery.blogspot.com.